Sole UK agents for the Fibramar range of boats from Portugal. Sole UK agents for Fibramar boats. Built for over 30 years on the Atlantic Coast of Portugal to withstand Atlantic weather. Our stock boats are PESCADORS with their high flared bows which cut through the harshest of sea’s. They are a Firm favourite of commercial fishermen and leisure folk alike, they are popular world wide. We are able to supply them built to Seafish specification, and have them certificated for commercial use. All the other boats in the range available to order. 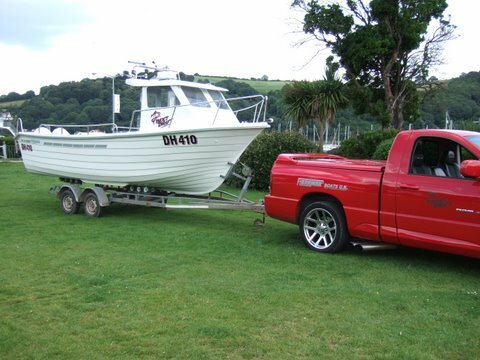 We can offer bare boats or complete packages finished to your specification, with a choice of engines, electronics and stainless steel work. Contact Simon or Lizzy Sharp for further details.